Spectacular Panoramic Ocean View – 12th Floor Penthouse. Incredible sunsets throughout! Location: Calafia Rosarita Beach, 4 miles south of downtown and next door to historic Calafia Hotel. Five minutes north of the lobster village of Puerto Nuevo. Accommodations: 3 Bedrooms 3.5 Baths. Oceanfront, 24-hour guarded, gated resort community. Spacious and elegantly decorated in Mexican style with arched doorways and traditional furnishings. Incredible ocean view from all areas, including bedrooms. Units are separated by stained glass doors allowing the living area to be completely open or closed for more privacy. Perfect for families that want to enjoy company by day and prefer privacy by night. Master bedroom/bath includes a large Jacuzzi/tub with ocean view. Outdoor balcony includes barbecue, chaise lounges and table for outdoor dining. Pool, Tennis courts, Gym, Basketball court, Recreation room. Adjacent to and a short walk from the historic Calafia hotel/nightclub and Mission San Diego de Alcala. A drive south takes you through beautiful countryside and vineyards to the town of Ensenada with shopping, dining and cruise ships. First come basis after receipt of minimum 50% deposit. Remaining balance must be received 30 days prior to arrival. Check-in time is 3:00 pm or after on day of arrival and checkout is by 11:00 am on the day of departure. In case of cancellation, the deposit is refundable up to 30 days prior to reservation date. A security deposit of $300 is required and will be returned after it is determined there are no fines, fees or damages. Contact Harriet Nemeth for payment details. Would definitely stay here again. Great views and has everything you need. The only con was the wifi was slow. But didn't really matter since we were on vacation to enjoy some time off from work and social media. Amazing Penthouse Condo, Take Me Back! First of all VRBO is my to go for vacation rentals. We booked the condo for Christmas & the whole experience was awesome. From the booking and communication to the condo.We arrived and the place was easy to find, gated community which is excellent and the guards were very pleasant with easy parking. The condo is on the 12th floor with elevators. As soon as we entered the condo and saw it we where amazed and happy to see the size and how beautiful it was and not only that it was very clean. Our Christmas was amazing there, the kids had a blast and we were able to set fireworks by the beach. Various food places close driving distance, we visited Ollies Brick Pizza which we love. Can't wait to go back during the summer and use the pool. Thanks for the great stay!!! This is the place you want to stay! The property is absolutely amazing! Huge rooms, every convenience needed, and housed 6 adults very comfortably. The view is absolutely gorgeous! In the future any time I will be going to or near Rosarito Mexico I will be staying here! 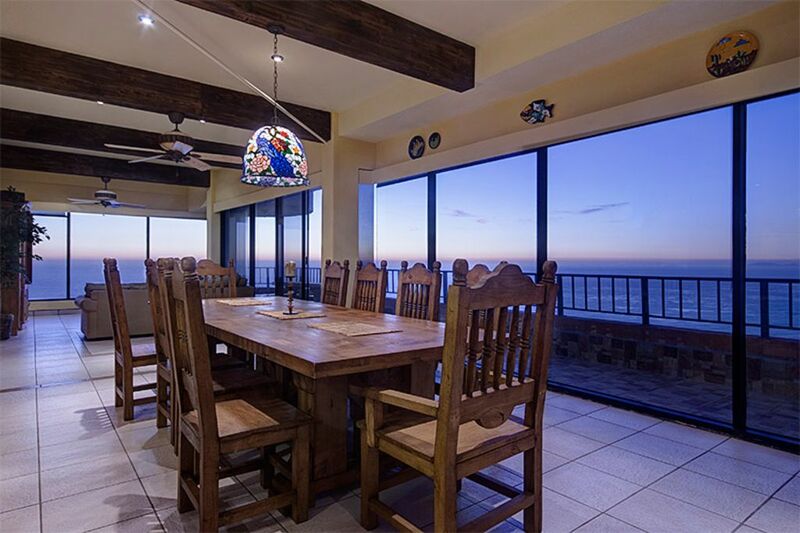 Five miles north is the bustling resort town of Rosarito, featuring fabulous restaurants, shopping and local art. The sandy beach hosts surfing and horseback riding. The well known lobster village Puerto Nuevo is 5 miles south with fun and lively restaurants. Studios Baja (Fox Studio Baja), 2 miles north, was built to film 'Titanic' and offers tours. A beautiful hour's drive south along the coast highway brings you to historic Ensenada, locally known as the 'Cinderella of the Pacific'.